After Schiphol airport, the first bit of NL I experienced on my first day in Utrecht when I moved here many years ago, has been the Hoog Catharijne shopping mall. Far from being horrified by it (after all, I do love shopping and ugly concrete buildings) I have developed an affection for the ugly brutalist monster: let's not forget this is where I saw my first ever snack-bar wall. 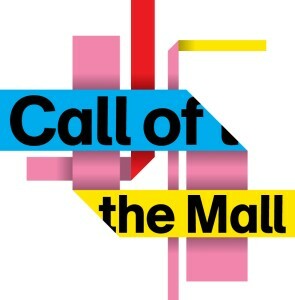 "Call of the Mall" is an ongoing exhibition of contemporary art pieces, installations and videos disseminated inside and outside the shopping area, including the car park, exploring the relation between men, the consumerism society and its public spaces. For free and on till the 22 September.